1 Owners suite located on the main deck, with king-size bed, en-suite bathroom including Jacuzzi and shower room and walk-in wardrobe. 1 VIP guest suite located on the upper deck, with king-size bed including en-suite bathroom with Jacuzzi and shower room. 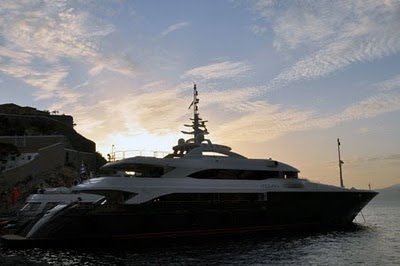 2 VIP guest suites located on the lower deck, including en-suite bathroom with Jacuzzi. 2 Twin guest cabins located on the lower deck, with en-suite bathrooms. 1 Twin guest cabin located on the main deck, with en-suite bathroom.